And it's apparently set to a B-Side from the "There Will Be Blood" soundtrack. 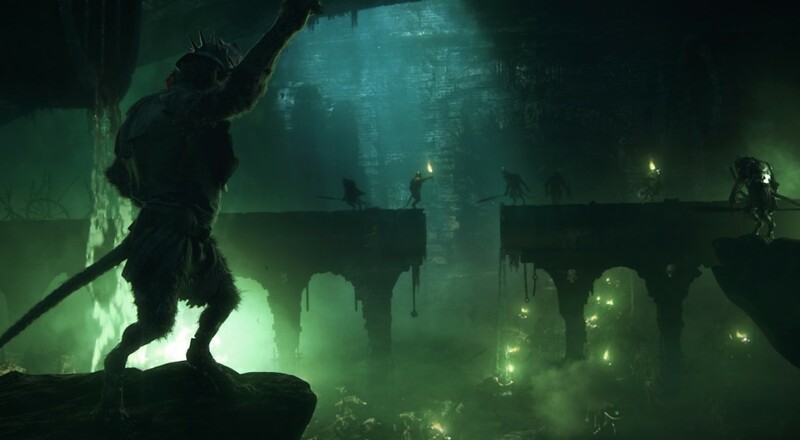 Like a horde of bloodthirsty Skaven, the release of Warhammer: End Times - Vermintide is fast approaching. To help get players acclimated to their imminent doom, developer Fatshark has been releasing a series of "Action Reels" showcasing each unique class and how exactly they'll be sending scores of ratmen to an early grave. This latest entry is the third in the series (with the first two covering the Witch Hunter and Waywatcher) and focuses on an Empire Soldier by the name of Markus Kruber. He joins the cast in the employ of the Witch Hunter, who seeks to deliver a Bright Wizard prisoner to the town of Ubersreik. As it so happens, the town is both Kruber's old stomping ground and beset by the armies of the Under Empire. That's some pretty bad luck for a guy whose entire regiment was just recently wiped out by death-magic. How's ol' Markus respond to his misfortune? Well... how about you just check out the video below. Vermintide is hitting Steam on October 23rd, just before a slew of new co-op games is set to absolutely wreck our free time. If you're not so sure about investing your time and money right before the proverbial surge, check out our impression and gameplay footage to see if the game's four player online co-op is right for you. Though Xbox One and PlayStation 4 releases are planned, Fatshark has yet to set any solid dates. Be sure to check back for more info and action reels! Page created in 0.2392 seconds.